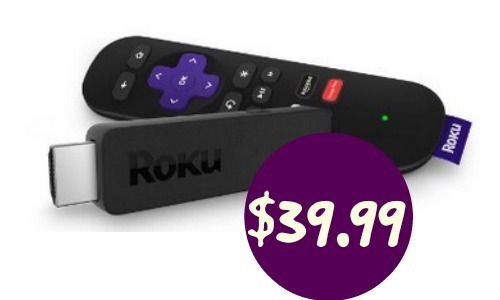 Grab a Roku Streaming Stick on Amazon for $39.99. This is a great way to access to Amazon, VUDU, Netflix, Hulu, Google Play, and more. It’s the only pocket-sized streamer available with a quad-core processor so be sure to grab it at this price.